Huricane Irene approaches. Before I turn off the electronics, including the computer, let me share with you what the busy bees here are doing. We are clearing the decks, literally and figuratively. The three decks which contain more containers than I want to count (I stopped at 100 on the first level) must be cleared of anything that could become airborn. Before that job commenced, the dahlias needed to be picked! 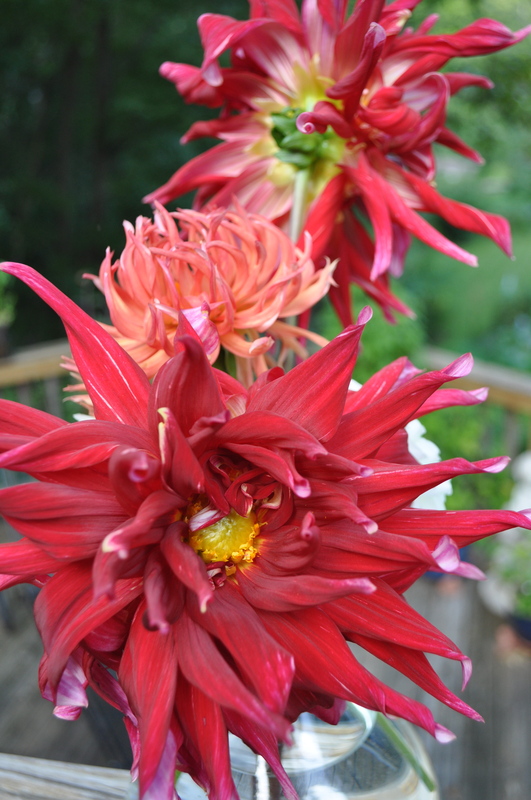 What will happen to all of those 4 – 6 foot dahlia plants when high winds hit them for a sustained period? I shudder to think. 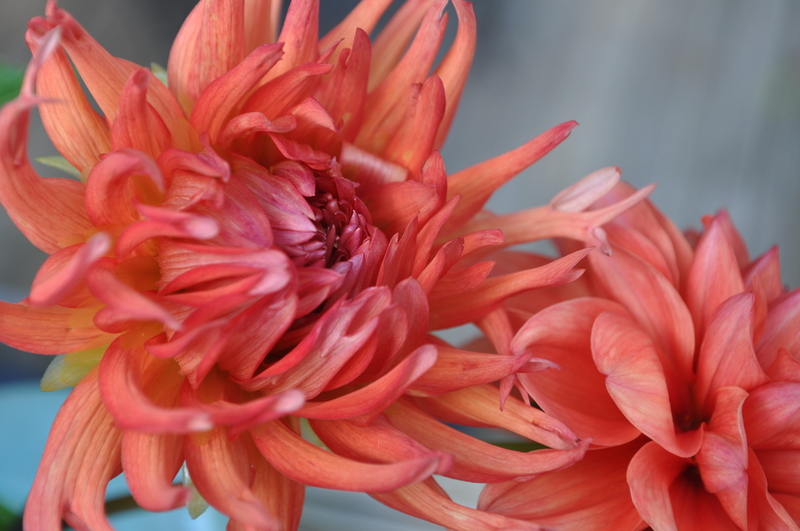 There is more at stake than dahlias but focusing on them for a moment relieves other fears. Are there any blue ribbons in Cyber space? Enter these two, please! Zinnias! Can we eat them? Have you been reading your emergency readiness guides? Will the outdoor furniture blow away? Will huge heavy pots filled with plants blow away? Will our third car be safe (old house only has two garage bays!)? The propane tank is filled to use the outdoor barbecue, but is that stable enough not to blow away? My garden bench given to us by my late Father sits near the banks of the pond, which will overflow … How many inches (feet?) of water can it withstand before it floats? downstream? Well dear readers, back to the tasks at hand – clear the decks! Wishing you all safety as we face Irene at our door! 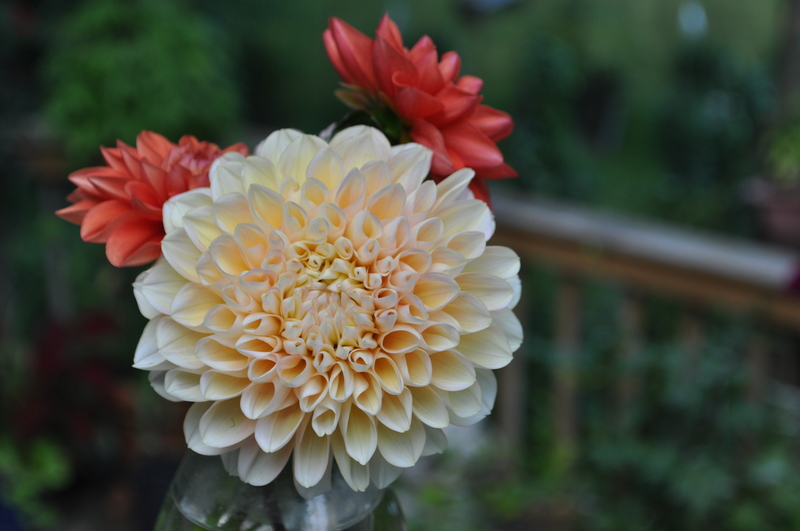 This entry was posted in Uncategorized and tagged Dahlia 'Bed Head', Dahlia 'Gregory Stephen', Dahlias 'Honey Dew', Hurricane Irene, zinnias. Bookmark the permalink. You seem to be very calm and organised – is it something you are used to? Your dahlias are lovely by the way. My thoughts are with you, Jayne. I hope the storm isn’t as damaging as you think. Hang in there. I hope you weather the storm safely. At least you sound well prepared and have taken every precaution. You certainly deserve a cyber space ribbon for your dahlias. They are gorgeous! Hopefully they will not get too wind blown during the storm. We did all of these things as well. Although there was not much damage, I suppose it was all necessary…just in case. I hope you were not affected by the storm. 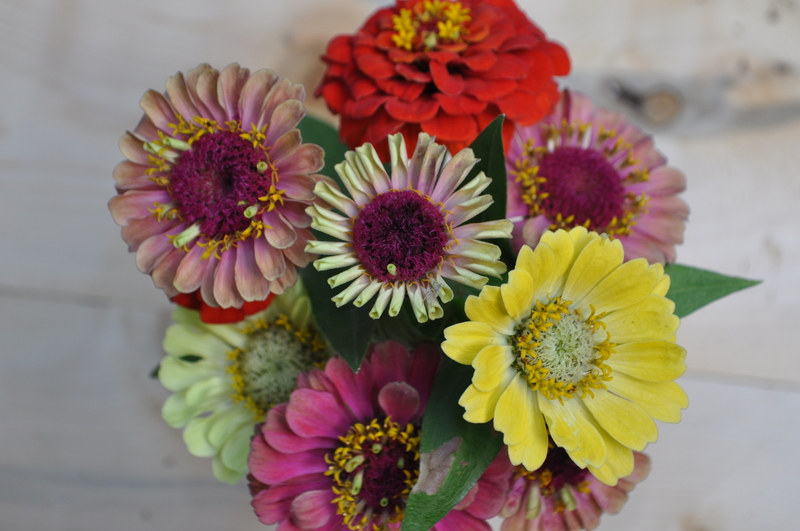 what amazing zinnias those are!! wow! 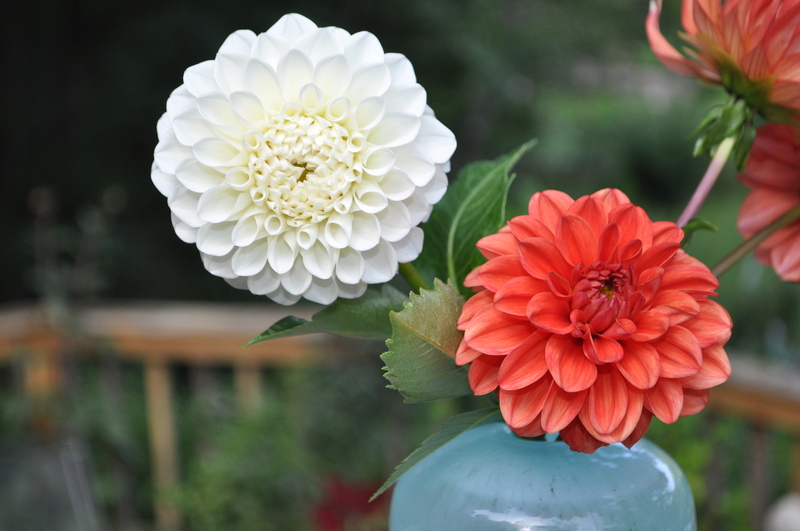 and your dahlias aren’t too shabby either! hope your garden, home et al were spared from the path of Irene! Irene hit us hard. Still no power on dAy 5. A massive oak tree came down on the house and more in the woods. But we are all safe and grateful no one was injured (b ut for the dahliAs) thank goodness for I phone because I have no access to computer or land line!